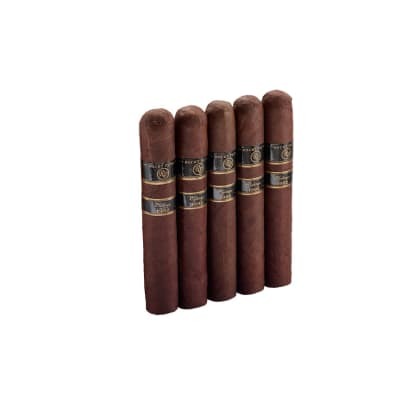 Vintage By Rocky Patel 1990 Sixty cigars offer a voluptuous, round-shaped cigar handmade with a tantalizing blend of 5-yr-aged Dominican & Nicaraguan fillers rolled in a 12 yr-aged Maduro wrapper. 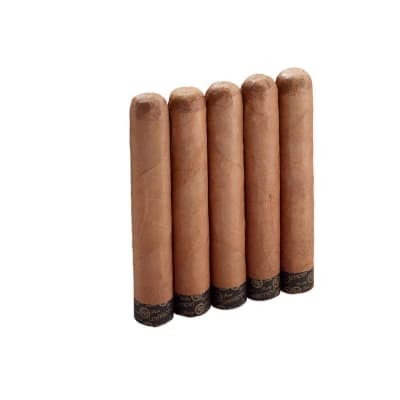 The smoke is full-flavored, creamy, perfectly-balanced, and teeming with rich, sweet tobacco flavor. 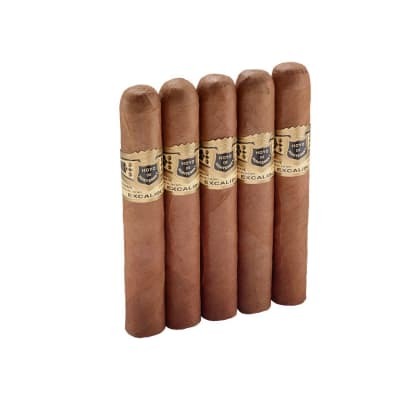 Vintage By Rocky Patel 1990 Sixty cigars are super-sized smokes for guys who think big. 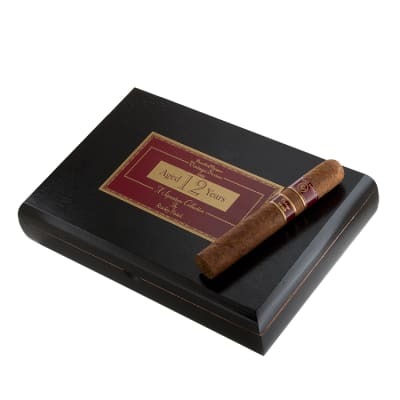 Handmade with a savory blend of 5-year-aged Dominican & Nicaraguan fillers with a vintage 1990 Maduro wrapper. 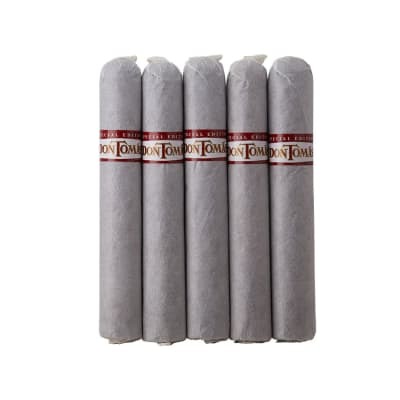 The smoke is medium-bodied, creamy, perfectly-balanced, and teeming with dark, rich tobacco flavor. Best Cigar I have smoked to date. I love em so much I hate to smoke em! This cigar will forever be in my heart as well as my humidor. RP Vintage 1990 cigars are my favorite. This Sixty finished off my tour of Rocky's vintage sticks and, as I anticipated, was the best of them all. Not just the 1990, but the 1992 and for arguements sake, the 1999. (can't really compare them) This cannon smokes a whole lot smoother than it's smaller counterparts and burns perfectly as long as you don't try to smoke it too fast. Pair it with a quality cup of coffee and prepare yourself for an hour of relaxation. The only thing that didn't tickle me was that it only lasted about an hour. I probably could have given it a little box time to tighten it up...so my bad. As far a flavors, there's a whole kaleidoscope of deep dark roasted stuff going on to keep you interested right down to the nub. One of my absolute favorites. The Sixty, big fat & delicious from start to end! This cigar had the perfect draw, perfect burn, and perfect taste. It looks great, feel's great in your hand, and was a pleasure from the first puff to the last. Just be sure you have a lot of time on your hands, because this one took a while.